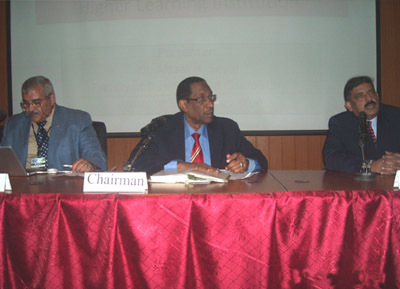 The Commission on Science and Technology for Sustainable Development in the South (COMSATS) and the Islamic, Educational, Scientific and Cultural Organization (ISESCO) held an International Conference on ‘Diffusion of ICTs in Academia: Learning in the Digital Age in Islam ic Countries’ in Khartoum, Sudan, on October 4-5, 2010. 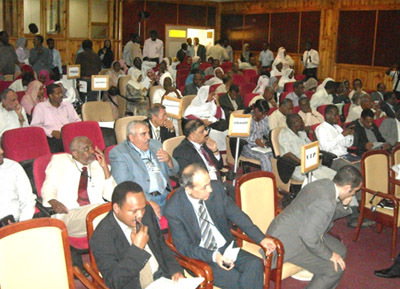 The Conference held under COMSATS-ISESCO Cooperation Agreement (2010) was organized in collaboration with the Inter-Islamic Network on Information Technology (INIT), the University of Science and Technology Sudan and COMSATS’ Centre of Excellence in Sudan, Industrial Research and Consultancy Centre (IRCC). Highlighting the potential of ICTs for increasing access to and improving the relevance and quality of education, the Conference aimed to underscore the need for more rapid infusion of ICTs into academia of the Islamic Countries. The key issues faced by the Islamic World in this information age were addressed. These included: lack of skilled workforce and necessary infrastructure (especially internet access); shortage of IT professionals due to brain drain; poor indigenization; and needs for growth in software development. The Conference provided a forum for academicians and professionals from Islamic countries to deliberate on these issues with an aim to help find appropriate solutions. Eighteen experts from Pakistan, Uganda, Iran, Malaysia, Brun ei, Mauritania, Yemen, Egypt, Tunisia, Bahrain, and Bangladesh presented papers on various thematic areas relevant to the key topics of the Conference. 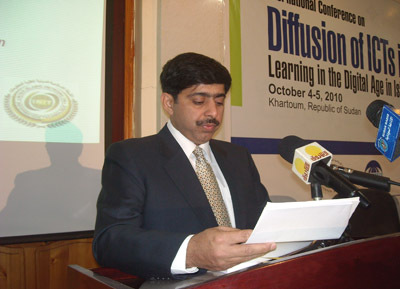 The thematic areas included: Educational Policy and Planning for Integration and Diffusion of ICTs in Academia; Current Projects and Best Practices from Developed and Developing World; Institutional Capacity Building for Integration/Diffusion of ICTs; Delivery Mechanism and Options in an ICT-based Academic Environment; and Effectiveness and Impact of ICTs on Learning and Achievements. The Conference highlighted the importance of expanding educational opportunities and ensuring high educational standards through ICTs in the Islamic world. Better means to address the growing digital divide and the inadequacy of skilled workforce in the field of ICTs were also identified.